Brighton Ford : Whitney Is An Adorable, Sweet, 7 Year Old Girl Looking For A Special Friend This Holiday Season! 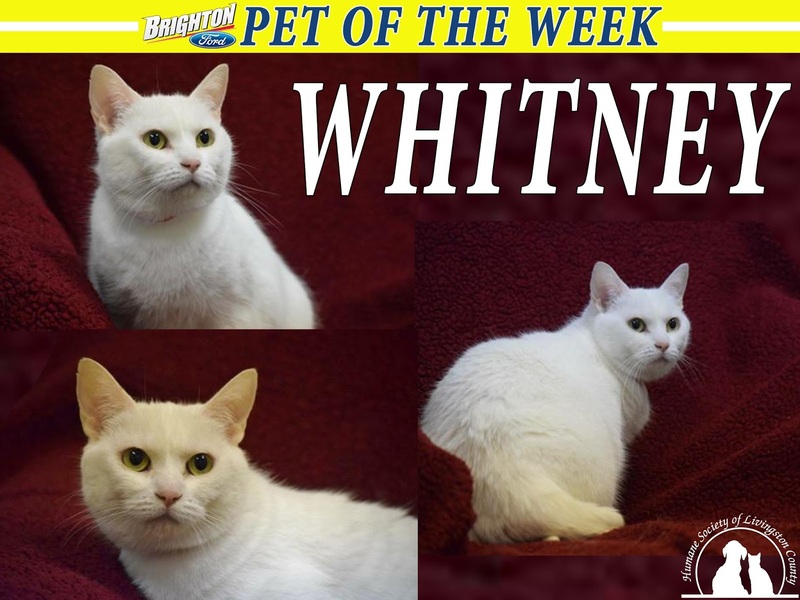 Whitney Is An Adorable, Sweet, 7 Year Old Girl Looking For A Special Friend This Holiday Season! I am Whitney, a VERY SWEET, beautiful, all white, short hair, 7 year old (spayed) female with soft green eyes. I was surrendered when someone in my family developed severe allergies. They said I am a VERY SWEET, easy going girl who got along with kids, dogs, and other cats in my home – even when the cats were not very nice to me. I may be a little shy in new places, but warm up quickly and LOVE to be petted around my head and ears! I prefer not to be handled too much, but will sit on your lap once I feel safe and comfortable. I would make a great companion and loving friend for someone special.